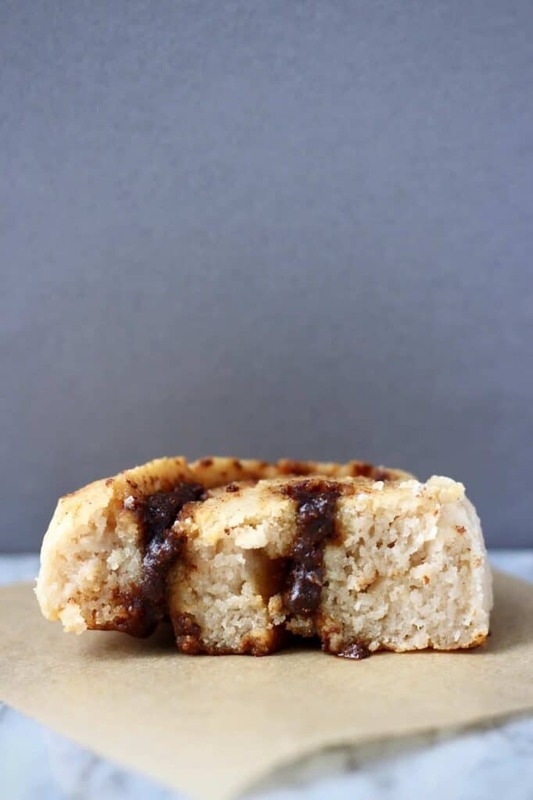 I could not be more excited to share these Gluten-Free Vegan Cinnamon Rolls! 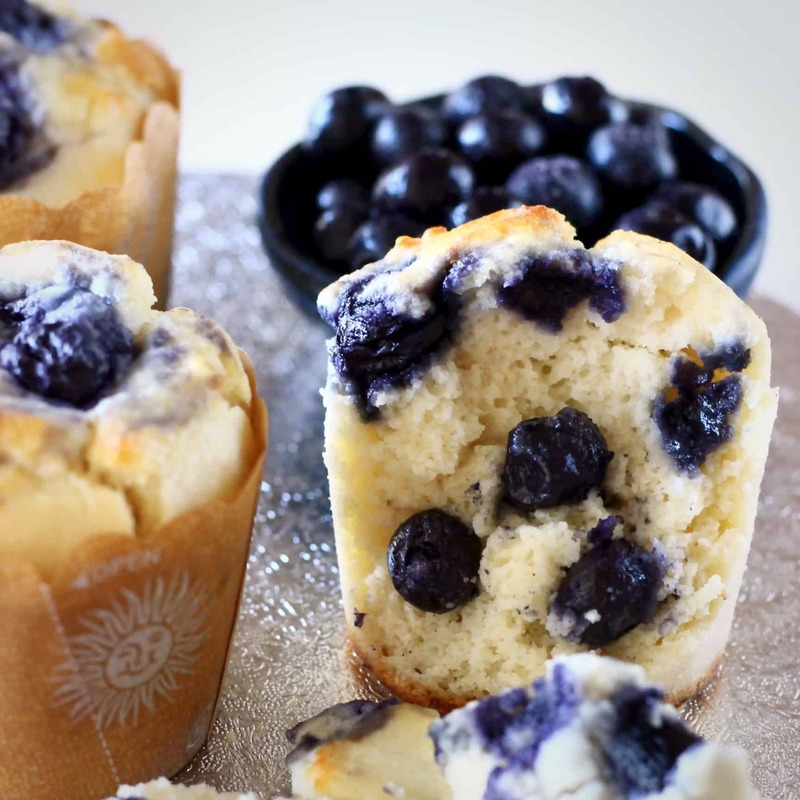 They’re perfectly fluffy, sweet and buttery and just as delicious as the traditional version! I’ve posted so many vegan, gluten-free and refined sugar free baking recipes, but one thing I was really keen to master was Cinnamon Rolls. “Is this even possible?” I thought to myself as I worked on my fifth (very) experimental batch. 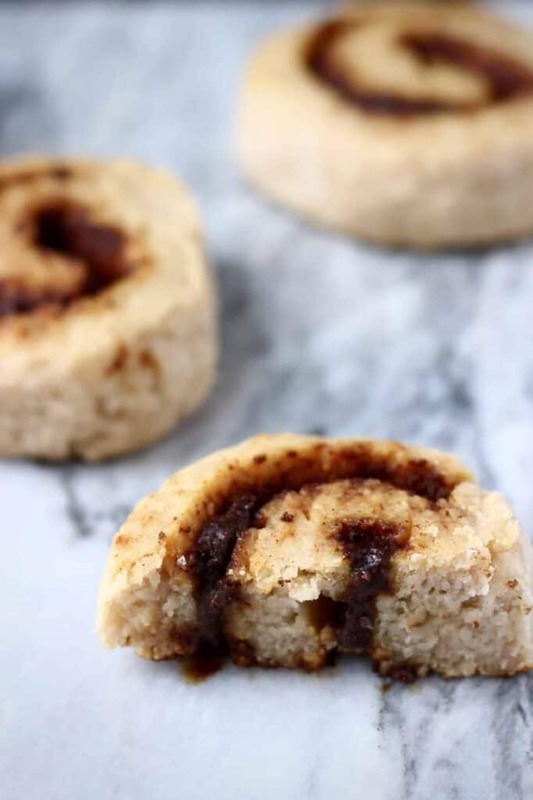 It took me countless attempts to create the perfect Gluten-Free Vegan Cinnamon Rolls – there has never been a recipe that’s taken me longer. I experimented with various combinations of rice, buckwheat, chickpea and tapioca flours. I made versions with and without yeast, with and without oil, considered aquafaba and apple sauce…all the while I also wanted to make the recipe as simple and user-friendly as possible. 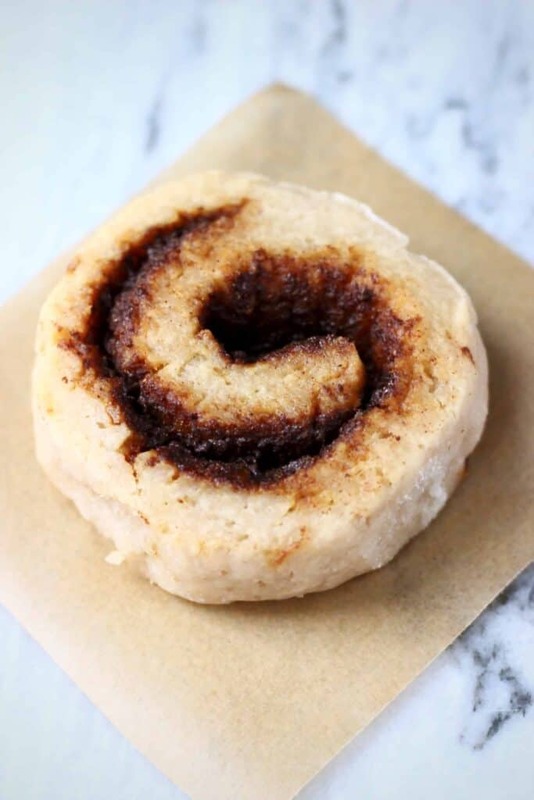 What ingredients do these Gluten-Free Vegan Cinnamon Rolls require? 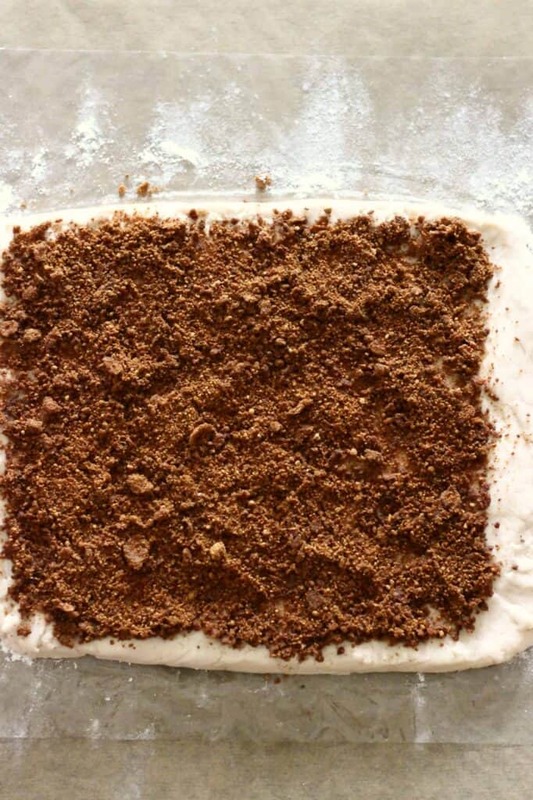 Cinnamon – a generous amount, but not too much! If you like, you could add raisins, chopped dates, chopped walnuts or pecans. 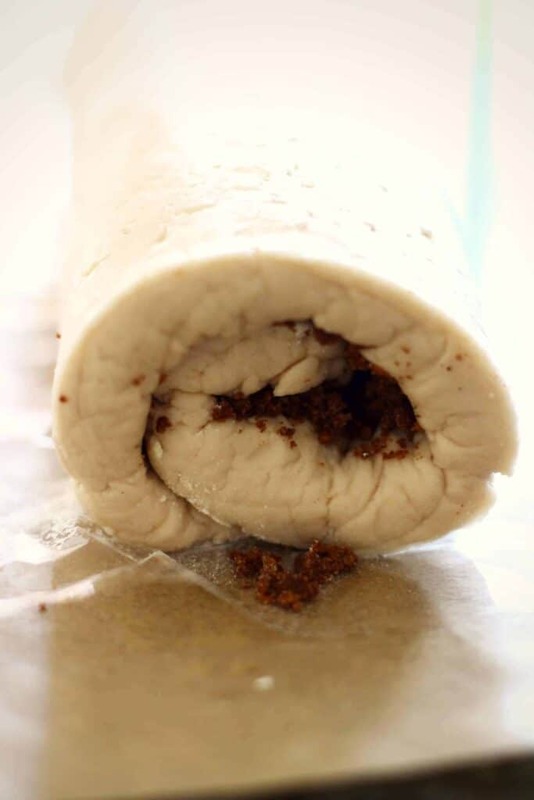 But be very careful not to over-stuff the cinnamon rolls as this will make them harder to roll and cut! 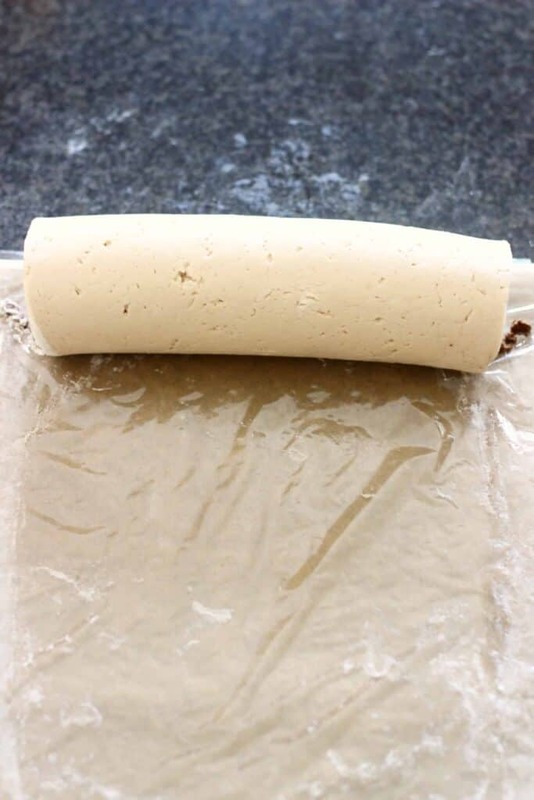 Use cling film to roll the dough into a log shape – it works the same way as a sushi mat! 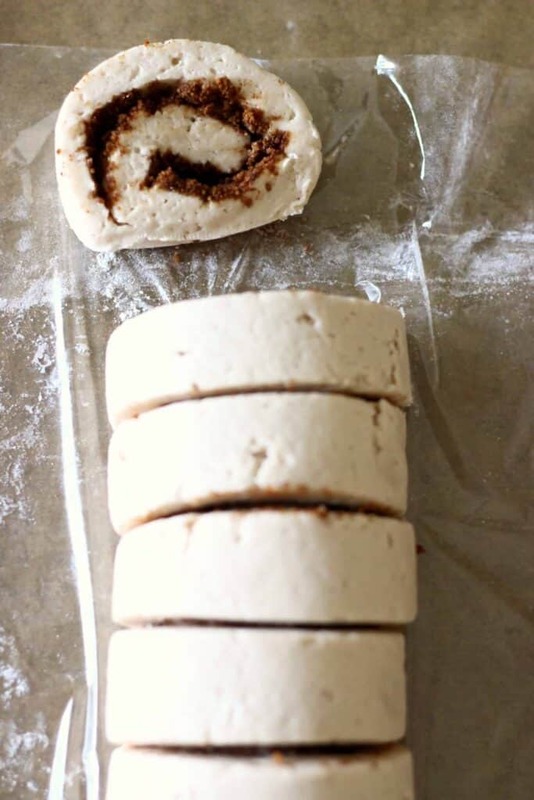 Make sure to cut the log into evenly-sized cinnamon rolls using a sharp knife (or a piece of string) and to make sure the rolls aren’t too thin otherwise they won’t be fluffy! 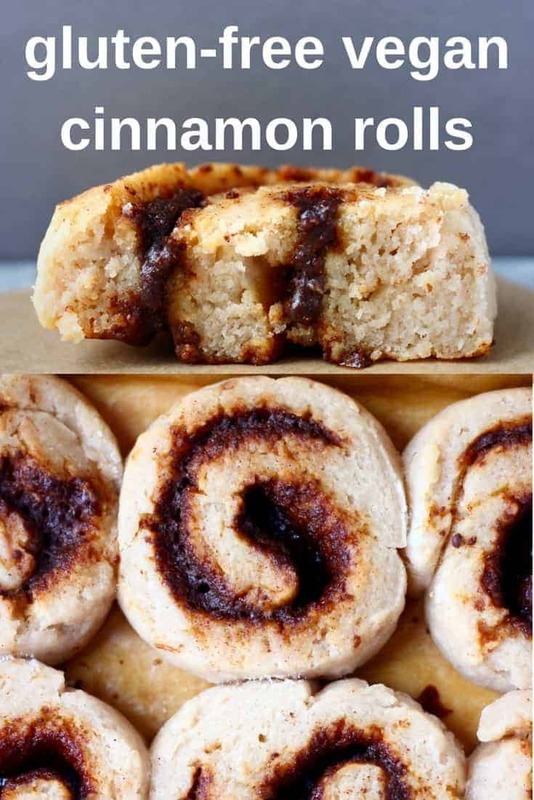 How can I make a frosting for these Cinnamon Rolls? 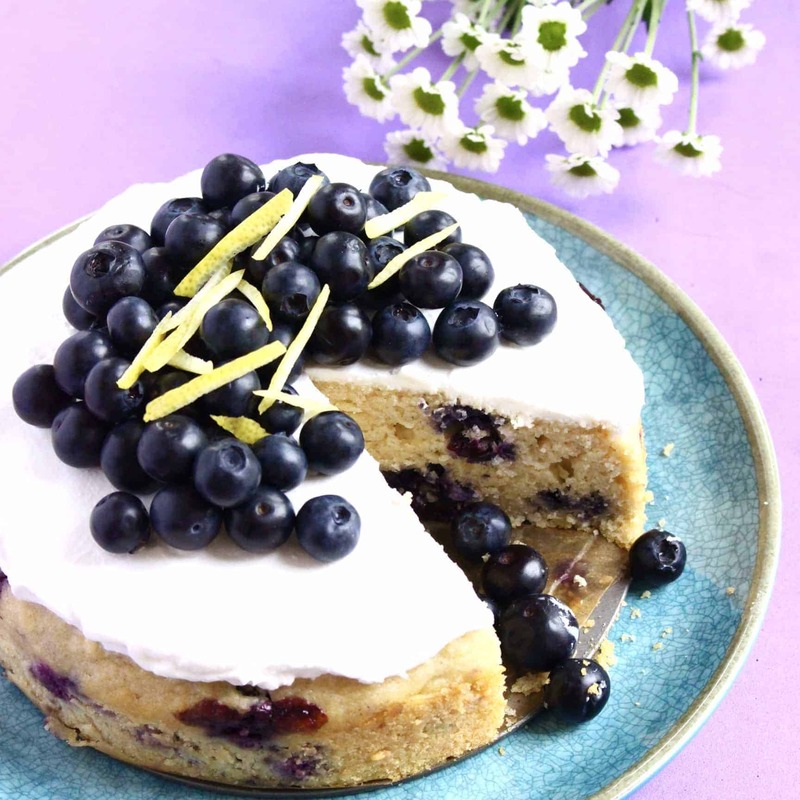 Cashew buttercream frosting – add some extra lemon juice for tangy flavour! 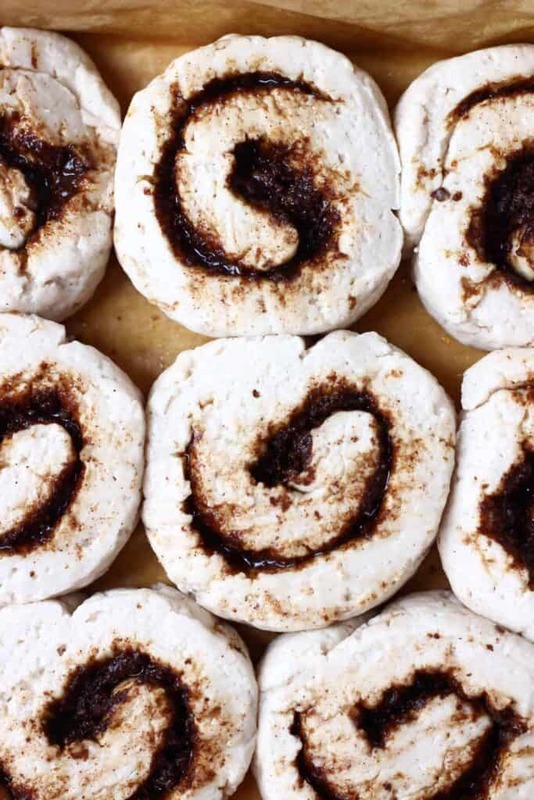 Do these Gluten-Free Vegan Cinnamon Rolls keep well? 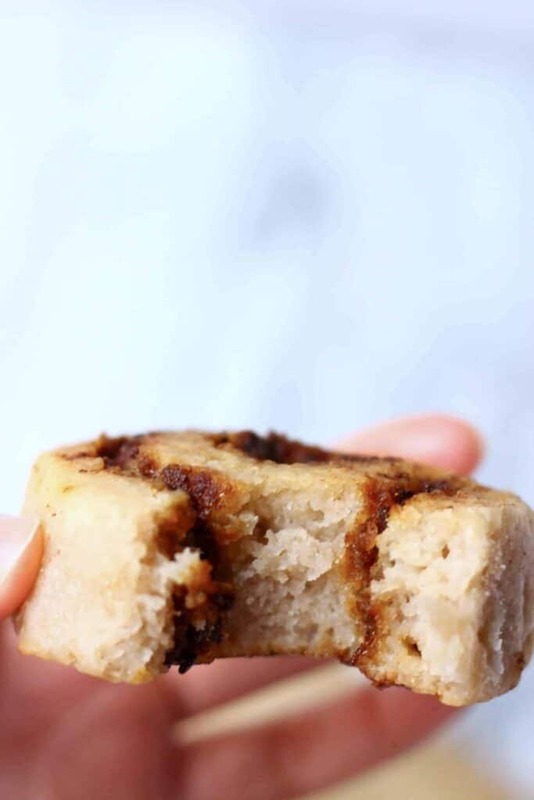 These cinnamon rolls taste best when fresh out the oven, but keep covered in the fridge for up to a few days – best reheated in the oven or an oven toaster. 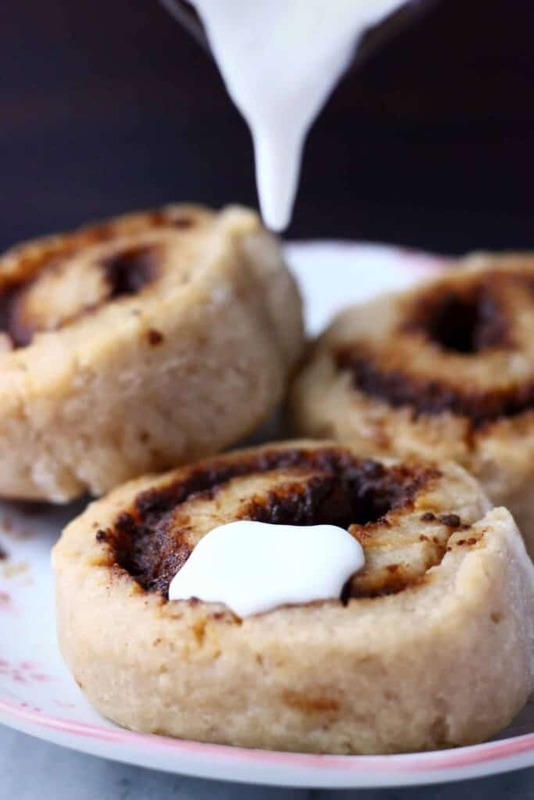 These Gluten-Free Vegan Cinnamon Rolls are perfectly fluffy, sweet and buttery, and just as delicious as the traditional version! *You could add some raisins, chopped dates, chopped walnuts or pecans. 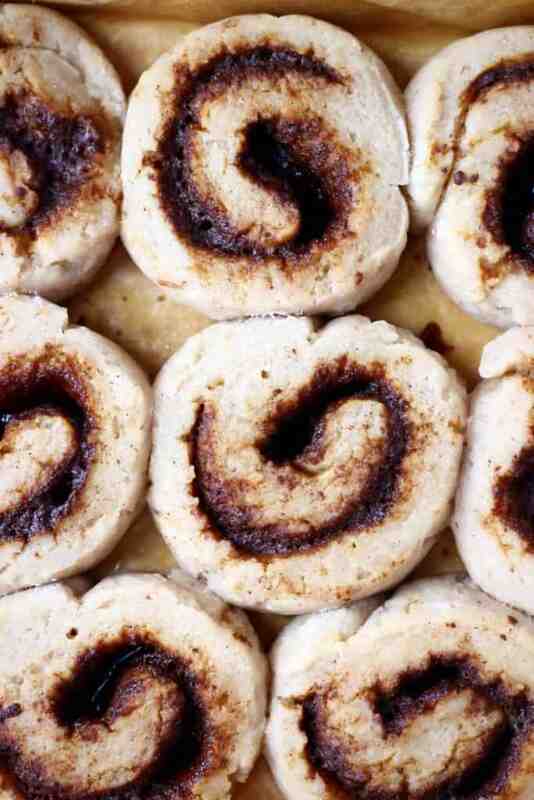 But be very careful not to over-stuff the cinnamon rolls as this will make them harder to roll and cut! 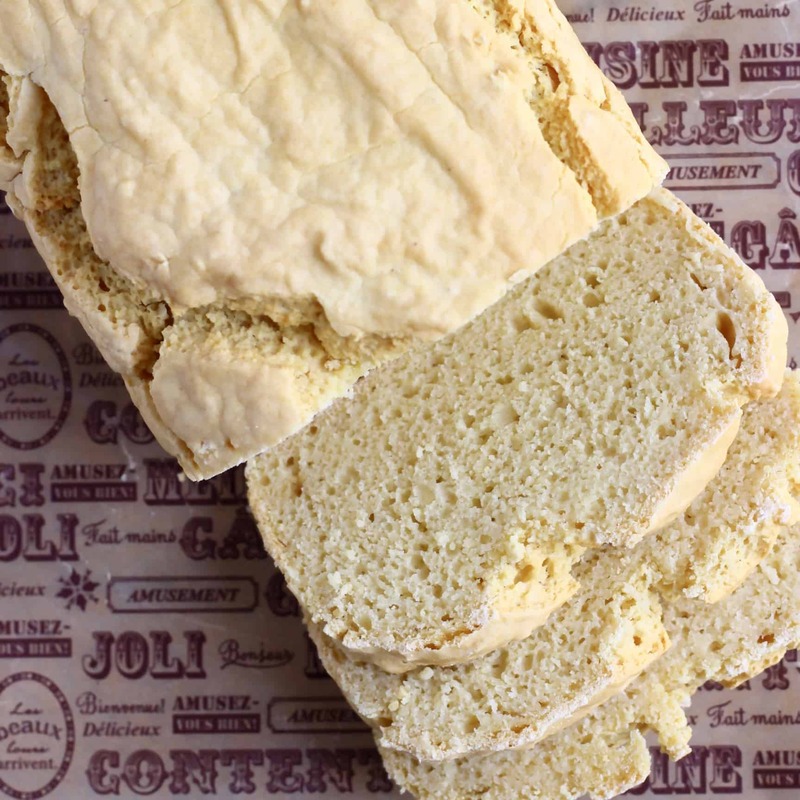 Cashew buttercream frosting - add some extra lemon juice for tangy flavour! 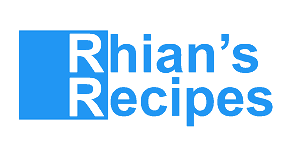 I’m unable to get hold of xanthan gum or white bread flour… Can I use psyllium husk powder in place of the xanthan gum? If so, can you advise on the best substitution ration please? Thank you! 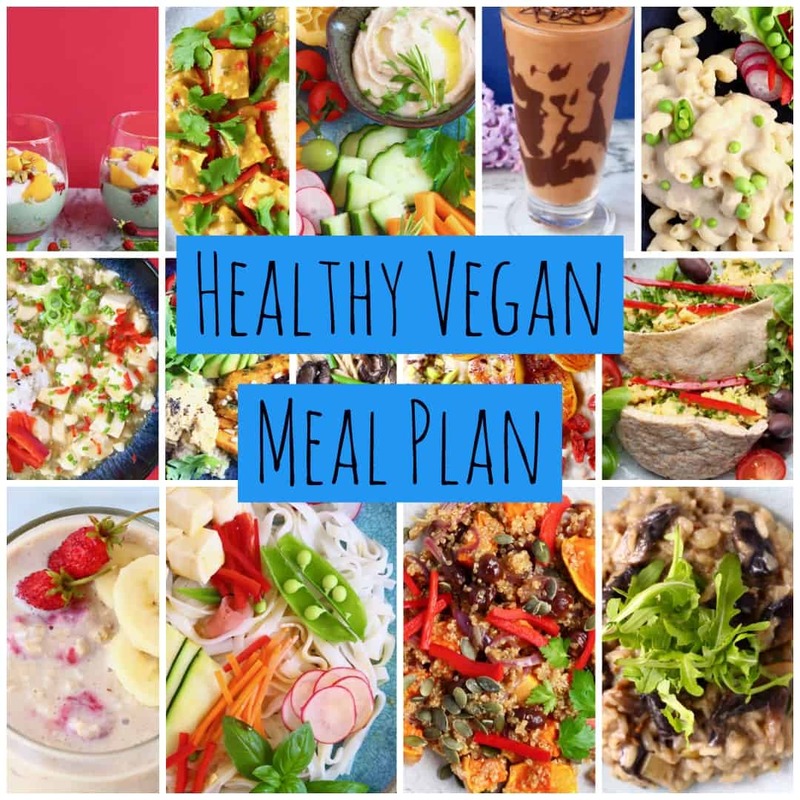 I’m really sorry I have no idea whether psyllium husk powder would work in this – I think you could probably create a similar effect by adding 1 tablespoon tapioca flour hope that helps!